The holiday shopping season is in full swing. 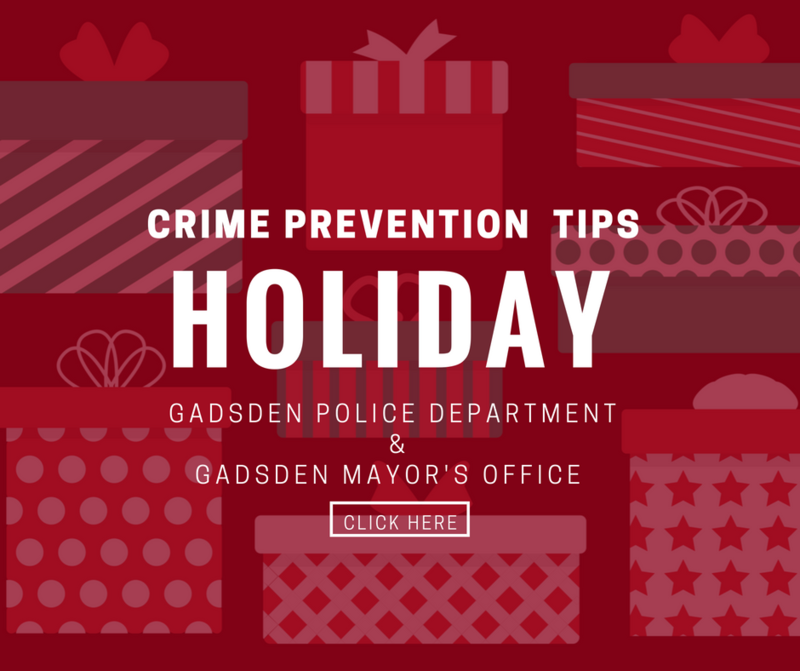 The Gadsden Police Department sees a spike in crimes during this time of year. We have a list of tips that can help you stay safe and protect you from becoming a target of a crime. If you see someone or something suspicious, please do not hesitate to call us! 911 for emergencies and (256) 549-4500 for non-emergencies. Stay alert of your surroundings and the people around you. Park in a plainly visible area, where there is plenty of lighting and other patrons. There is safety in numbers. Try to avoid shopping alone. Carry yourself with confidence. Criminals look for victims who appear to be an easy target. Carry your purse closely. Try to avoid carrying it around your shoulder or across your body. If someone does attempt to grab your purse, you could possibly be injured if you have your purse straps around your body parts. Carry your wallet in your front pocket. Trust your “gut” instinct. If something doesn't feel right, don't second guess yourself. Do not leave anything of value in plain sight. Secure valuables and gifts in an area such as your trunk. LOCK YOUR DOORS! Many thieves will only target unlocked vehicles. Be cautious of strangers approaching you, who start unusual conversations. This includes people who are asking for money. This individual may be a distraction for another person who could come up behind you. Only carry the items you need. Don't carry excessive packages or shopping bags. Secure your purchases before returning to shop. Avoid possessing excessive cash or jewelry. Locate your keys before you return to your vehicle. Use an ATM in a well-lighted location. Keep a record of all of your card numbers in a safe place at home. If your card is lost or stolen, notify the credit card company immediately. Only meet people at a well-lighted and public area when purchasing items from individuals on social media sites. REMEMBER! If it sounds too good to be true, it probably is. Thieves will often target residences where packages are left outside. Have someone you trust pick the item(s) up for you. Don't display holiday gifts where they can be seen from an outside view. Avoid leaving boxes from purchases on the curb, such as television or gaming system boxes. Document your valuables inside your home. Record serial numbers and photograph jewelry and other valuables. Remember to LOCK YOUR DOORS and WINDOWS! If you have an alarm or surveillance system, be sure they are functioning. Leave lights and the television on, if you leave for the evening. It will appear someone is home. DO NOT announce on social media, if you go out of town. Remember to lock your vehicle up and remove valuables while parked at your residence.